Reports reaching Biafra writers from a reliable source in the prison has it that there was a successful attempt by some government sponsored Northerners to escape prison yesterday, and that the Buhari-led government has been accused of secretly releasing northern inmates. In another recent development, Nigeria media came up with lies to deceive the public again. 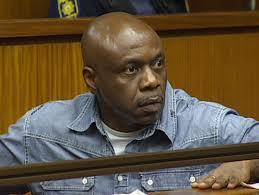 In their report, they alleged that Mr Charles Okah, who has been on trial in Abuja for the 2010 Independence Day bombing that killed 27 people, also escaped last night by simply scaling the prison walls of the prison around 7:30pm Nigerian time". We are yet to decipher the reason behind the fallacious and unfounded press release by the Nigerian media, linking Charles Okah with the jail break . Perhaps it could be considered as an attempt to divert public attention from the real escapees who happened to be Buhari's kinsmen. Charles Okah, the leader of the Movement For The Emancipation Of Niger Delta, who was arrested for allegedly aiding two deadly car bombing in Abuja on NIGERIA'S 50th anniversary day, has been facing endless trial in the hands of the Nigeria judiciary. In one of his trials on October 7th 2015, he attempted a suicide mission, trying to jump from a window on the third floor of the Federal High Court Abuja after a five minute speech saying: "I have been incarcerated for about five years now and I have a family to carter for. My children would grow up without feeling the warmth of their father and I am tired of this endless trial. I really do not know what I have done to be treated this way. Is it not better to die than to wait and be messed up this way?. " As at the time of filing this report, the prison officials have failed to release the identities of the escaped ones. And we have every reason to believe that the escape must have been planned by the prisons officials in conjunction with Muhammadu Buhari.